National Storytelling Week is now in its 18th year. This year it runs form January 27th – 3rd February. Primarily, it promotes the tradition of oral storytelling and there will be lots of events around the country in clubs, libraries, schools and museums that pupils and teachers can take part in. For SEND children, using stories to illustrate their lives is a powerful way of educating the neuro-typical population what it means to be part of the neuro-diverse community of SEND. Many book lovers will have read The Curious Incident of the Dog in the Night Time which achieved national acclaim and went on to be a West-End production so powerful was its story. But if you want to gain an insight into our SEND communities, learn something of how SEND children see the world what other books might you read? First up is a book on hyperactivity for young children. 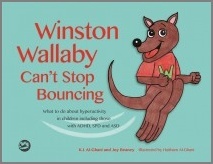 Winston Wallaby Can’t Stop Bouncing is a story about young children that can’t keep still, chiefly those with a diagnosis of ADHD, SPD and/or ASD. Al-Ghani books are excellent at explaining the sensory needs and support strategies that can be used at home or in school. For the Young Adult market there is M in the Middle which is a novel that discusses secret crushes, mega-anxiety and the People’s Republic of Autism. It’s a great page-turner and gives a very honest and insightful picture through the eyes of a wonderful heroine, ‘M’. Given the increased focus on spotting and supporting girls on the autism spectrum it’s an essential addition to any school library. 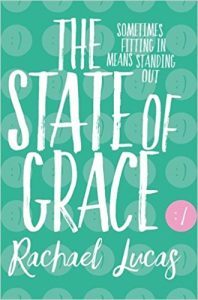 If you have not come across Rachael Lucas then hunt down a copy of The State of Grace. 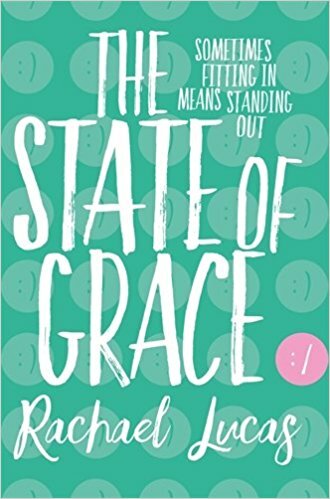 Grace has Asperger and her own way of looking at the world. She has a horse and a best friend who understands her and that’s pretty much all she need, but then things start to change when she kisses Gabe, suddenly the world makes less sense than before. It’s a funny story about a young girl trying to work out where she fits in. Rachael Lucas is an autistic adult and loves telling and writing stories. What Every Autistic Girl Wishes Her Parents Knew is an award winning story about the emotional needs and sensitivities of autistic girls. Our copy of this book hasn’t arrived in the shop as yet but it will be here very soon. You might be forgiven for thinking that SEND boys are not getting much of a look in, so here are a few others to look out for. Blue Bottle Mystery: an Asperger adventure. 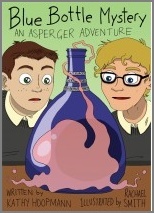 This is not a new book but is available now as a graphic novel and it follows the adventures of Ben and his friend Andy who discover a blue bottle in the school yard which goes on to unleash mysterious forces. Frankie’s Foibles is a story about a boy who worries. He is worried about stepping on the cracks in the pavement and what will happen if he brushes his teeth for two minutes rather than three. Frankie is OCD and has anxiety about a lot of issues in his life so he has to learn to ignore the foibles in his life and the pesky creatures that whisper in his ear. The Reason I Jump is the story of an autistic boy who likes to jump. The story explains why he talks loudly, repeats questions and has panic attacks. 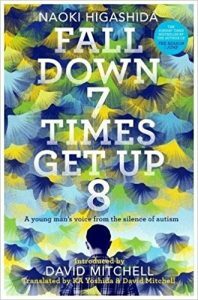 Using a question and answer format this story is packed with information and insight into the world of autism. Naoki Higashida is a Japanese poet and his story has been translated into English by David Mitchell. There is now a follow up to this book called Fall down 7 times, Get up 8 which is a series of essays which looks at his journey into adulthood and amongst many of the revelations is when he tells of not being asked what he wanted to be when he grew up. Naoki didn’t want to continue with schooling, he wanted to be a writer and he was fortunate enough to be able to choose to leave school and pursue that goal. Proving that not all children should follow a singular path. 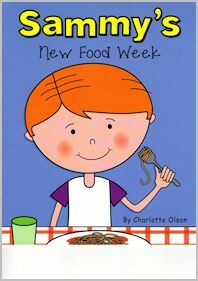 Finally, at SEN books we like to promote independent authors and Sammy’s new Food week is a day by day which spans from Monday when he tries broccoli to Sunday when he has Roast Chicken. Charlotte Olsen has written a series of social stories to illustrate key aspects of life, like Travelling on an airplane; Going to a hairdresser and recently she announced the addition of a new character to her stories, Cruzie. So look out for more of her stories later this year…. Huge thanks to Colin Redman from SEN Books for this lovely blog. If you are interested in working with children who have special educational needs or disabilities (SEND), why not register or get in touch with Axcis today? We have vacancies in schools and alternative provisions across England and Wales.